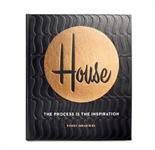 An illustrated and entertaining journey through the creative process of renowned design studio House Industries, offering innovative and inspirational ideas to help artists, designers, musicians and creative people in any industry develop their best work. Foundations of Drawing is a comprehensive and authoritative overview of the history, aesthetics, methods and materials of the drawing medium. Clearly defined demonstrations provide easy access to the practice of drawing as well as the history and development of core drawing techniques. Manga Art provides readers the chance to hear from one of the leading artists in the field of manga instruction, as he reveals the creative secrets behind over 100 pieces of original, never-before-seen artwork. The Drawing Lesson uses the tale of one aspiring young artist and his reluctant mentor to impart easy-to-follow lessons on the fundamentals of drawing. In this one-of-a-kind art instruction experience, readers gain a grounding in the basics of drawing and rendering, along with a helping of laughs and poignant entertainment.